Performance at Wunderbar, WORM, Wunderbar Stube, BAR café – Boomgaardsstraat 71, 3012 XA Rotterdam. 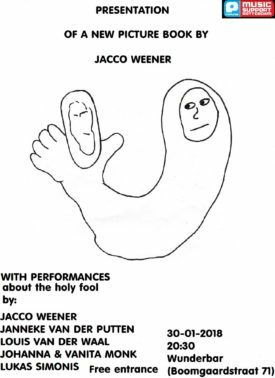 Curated by Jacco Weener. Start 20:30h, end 23h30. Free entrance. Link WORM website. FB event. ner will be presented at the Wunderbar. This book is the result of collaboration between WORM Rotterdam and Jacco Weener. The book deals about underground culture, youth and more. The book will this night be sold for 7,50 euro. 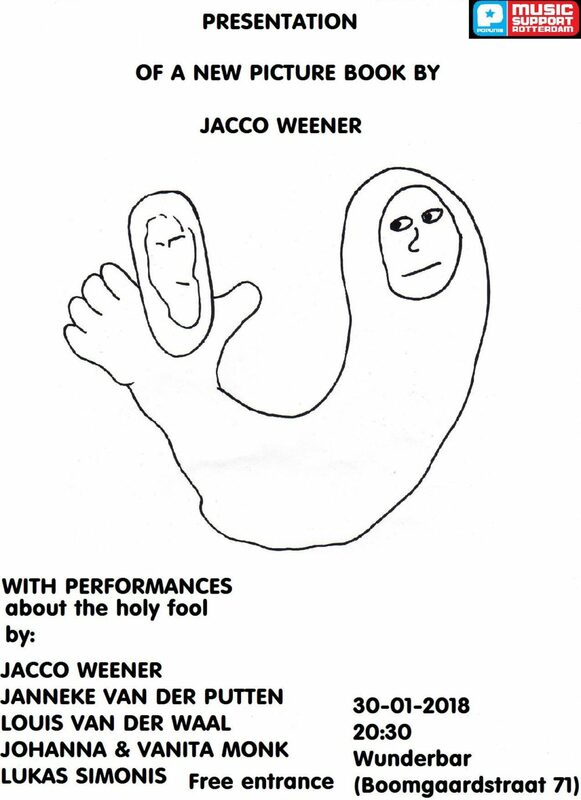 The performances will be themed around “The Holy Fool”.